Announcement Handbound leather journals and notebooks by The Orange Windmill. Welcome to my shop! I hope you like my selection of handbound journals and notebooks. If there is a specific style or colour you would like to see in my shop, please let me know! I aim to please! Handbound leather journals and notebooks by The Orange Windmill. 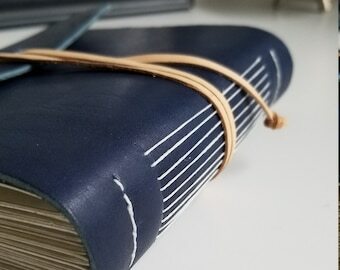 The finished product - I bound 20 of these journals for a client; they're going out today! 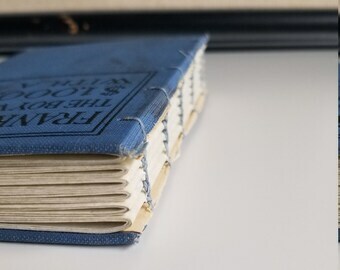 The tagged journal is made with the same leather as these. The Orange Windmill is a one-woman creative business based out of Hamilton, Ontario, Canada. I use unwanted materials to create beautiful things. 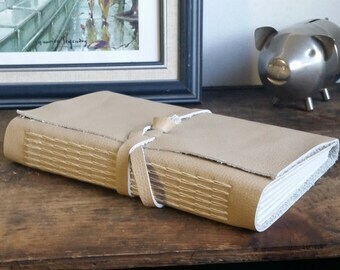 The leather used for most of my journals are remnants from upholstery projects. 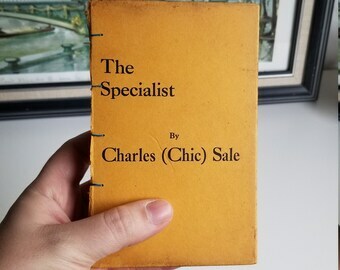 The hardcover journals come from discarded vintage books. I love being able to use old and breathe new life into it! I love each part of the bookbinding process - from cutting the leather to piercing the hand-torn pages to binding them all together to make something useful and beautiful. It's my dream to one day own a studio and gift shop, where I will sell only handmade items from all over the world! I am Shirley. I like walks in the country, reading a good book with some great tea, eating burnt marshmallows, and watching movies with my darling. I want to beckon people back to the written word - with paper and ink!